Sometimes a movie inspires me to write a little more creatively than I normally would. This is not your average trip to the cinema, it is an education and a transformation via verse and freestyle. At first it's like Eight Mile, but then you realize that your eyes and ears are churning up fears about how you think and in the blink of an eye you start wondering, what are we thinking with all of this mumbling that is puncturing and covering all of our insufferable blundering. The message is filled with intensity and a propensity to get under your skin and into your brain and once it's in you can only blame yourself because what it uncovers is something we often fail to recognize, but now it's time to recognize. Joseph Kahn shows us that racism and hatism are more natural than we thought and as much as we thought we were above it all, he shows us the truth underneath it all. 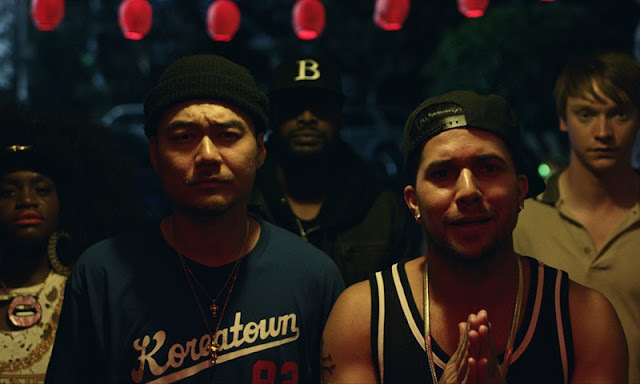 How can a story about battle rapping make us rethink what's happening when it comes to color, class, and sexual preferences and that even the best of us can't avoid stereotypical references. The characters are real, almost too real because they are inside of us, they are who we are and where we can't hide from us. In between every rhyme they are standing right beside us and every battle shows another side of us while Khan and cast put us on blast by dropping every single mic on us. By the end of the movie you'll say damn that really moved me but at the same time your mind will be unsettled and uncomfortable because of the combustible nature of this powerful feature that takes egos and attitudes and sets them on fire and reaches higher by turning upside down what you thought was about to go down. All of this and tons of creativity are what made this a hit to me and the bits of hyper reality help balance the brutality of rappers proverbially murdered with verbose verbality. Thank you for indulging my inner MC. 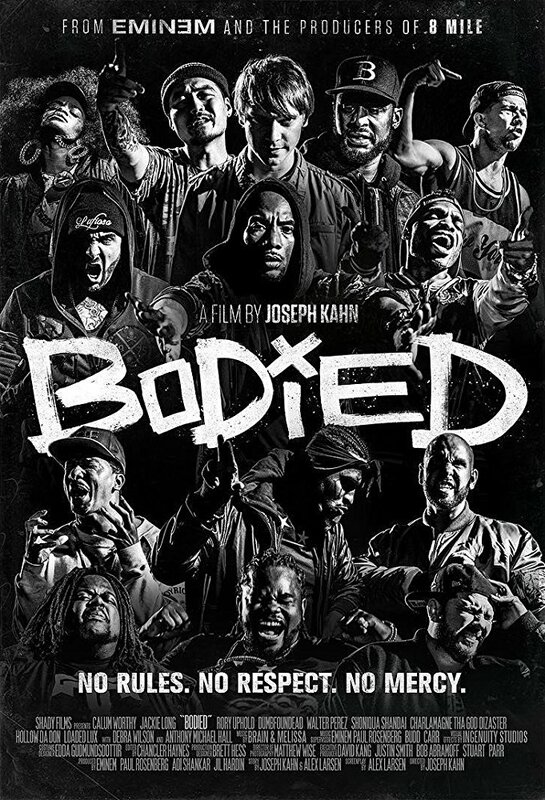 Bodied is a movie you need to see. It exists to make you think about reality instead of avoiding it. It will shake up your brain with social commentary that leaves no one untouched. Aside from the heavy hitting message it carries, this is also one of the most entertaining movies I have seen this year, just don't expect the story to be wrapped up in a nice bow and a happy ending. It knows better than to let you off the hook that easily. Bodied is an official selection of the 2018 Seattle International Film Festival.